This month in Australia is Mental Health Month and Mental Health Week. 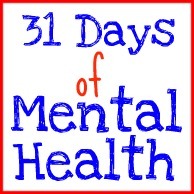 The Nester over at Nesting Place is running a '31 Days of' for the month of October which inspired me to do a 31 Days of Mental Health. I'll still be doing sesame, lufflump, Polly and life updates along the way as well. 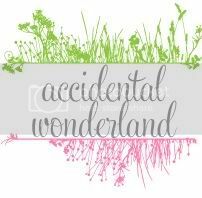 Please join me along for the ride and also check out Denyse's blog as she is also writing about Mental Health throughout October. Great topic to pick - I look forward to reading along this month! Very cool. Looking forward to learning more about you and your heart for this topic. Great to meet you through Emily Freeman and the 31 Days project! What a great cause! Good on you for publicly discussing an issue that is often swept under the rug. I look forward to reading your mental health week updates!